The Tel Aviv Jazz Festival 2017 will take place from December 6 – 8, 2017, with musicians from France, India, Brazil, Germany, England and the US, as well as Israeli jazz musicians. The festival will take place at the Tel Aviv Cinematheque with additional performances at Zappa in Tel Aviv and Herzliya. Every night throughout the festival, outdoor performances will take place at the Cinematheque, open to the public free of charge. 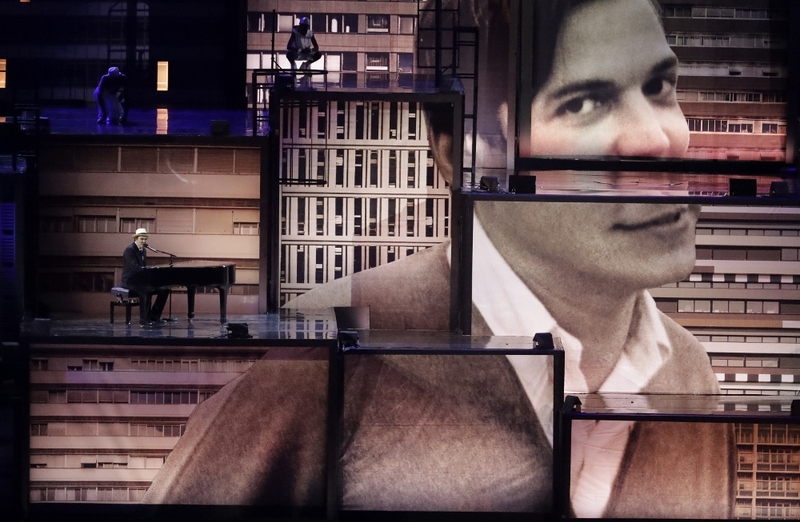 The festival’s artistic directors – Barak Weiss, Gilad Emilio Shenkar and Avi Yosef, note that the festival will mark two special centenaries: Thelonius Monk & Ella Fitzgerald. 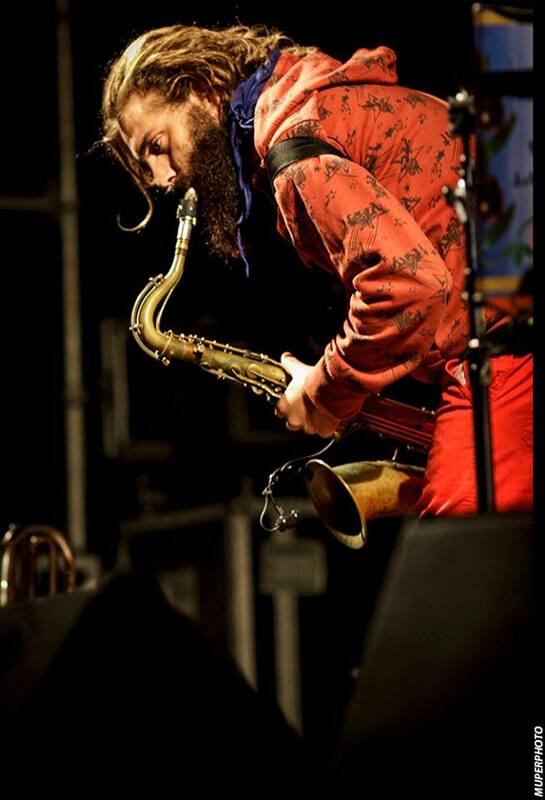 The Tel Aviv Jazz Festival is produced by the Tel Aviv Municipality in cooperation with Zappa and Gov Productions. Tickets may be ordered online via Zappa, or call: *9080. Discounts for Tel Aviv Digital. Nicholas Payton – trumpet player, multi-instrumentalist and writer, commented to the Chicago Tribune that his album Afro Caribbean Mixtape, is “my most overt political work to date.” The 2 CD album intersperses a diverse range of musical tracks with commentary on race by black musicians and scholars. Payton excited controversy with his 2011 blogpost On Why Jazz Isn’t Cool Anymore, but no matter what you decide to call it (Payton prefers the term Postmodern New Orleans musician), his music is very cool, venturing into serene vistas and rugged terrains, always with a groove. And of course, Payton describes it best: “I create music for the heart and the head, for the beauty and the booty.” Performances will take place Wednesday, December 6th at 22:30 in Hall 3, and Friday, December 8th at 13:00 in Hall 3. 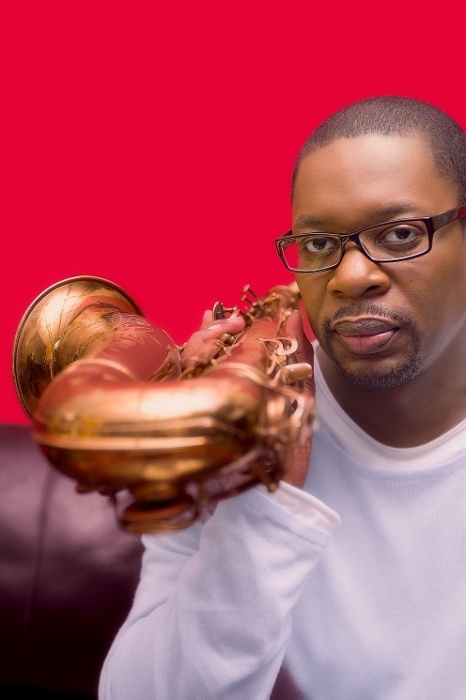 Saxophonist, bandleader and composer Ravi Coltrane will be performing with young Israeli pianist Gadi Lehavi. Coltrane, the son of John and Alice Coltrane, has released six albums as a leader, has been nominated for three Grammy awards, performed with many leading musicians, including Geri Allen, Pharoah Sanders, Herbie Hancock, Carlos Santana, Stanley Clarke, Branford Marsalis, and founded the independent record label RKM. Gadi Lehavi (b. 1996) has been playing piano by ear since the age of four, I first heard him in 2011, and he is wonderful! Lehavi was just 13 when he met Coltrane in New York and the musician took they young pianist under his wing. They’ve performed together in New York clubs – Village Vanguard, Birdland, and will now share the stage at the festival, together with Barak Mori – bass, Ziv Ravitz – drums. The performance will take place Thursday, December 7th at 20:00 in Hall 3. Celebrating the 100th anniversary of Thelonius Monk’s birth, is Eyal Talmudi with a power ensemble of musicians: Sefi Zisling – trumpet, Gershon Waiserfirer – trombone, electric oud, Uzi Feinerman – guitar, Assaf Talmudi – accordion and keyboards, Gilad Abro – contrabass, Aviv Cohen drums. And Eyal Talmudi on saxophone and clarinet. I’ve heard all these musicians many times in different contexts – this is a performance not to be missed! The performance will take place on Thursday, December 7th at 22:30 in Hall 1. Drummer and mixmaster Makaya McCraven garnered international acclaim with his album In The Moment, culled from 48 hours of improvised music in 28 shows (all in one venue). McCraven ascribes his unique sound to his experience with hip hop bands, African dance bands, Hungarian folk music, and indie rock, as well as classic jazz, with layers of beats, sampling, and electronics. The performance will take place on Friday, December 8th at 23:00, in Hall 1. Performing with McCraven: Marquis Hill – trumpet, Yonatan Albalak – guitar, Junius Paul – bass. The full list of performances and ticket information is available online.